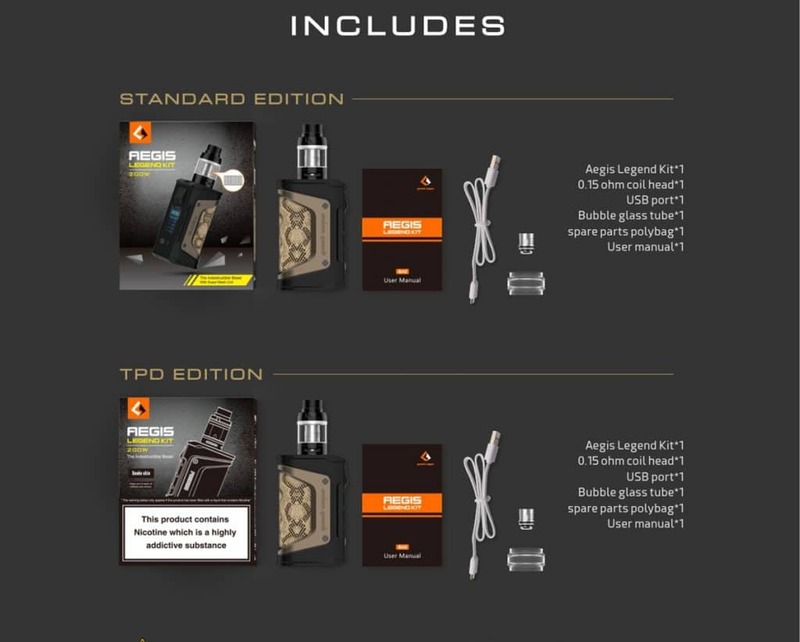 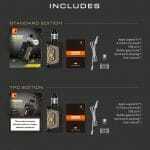 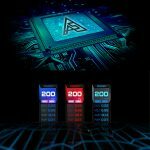 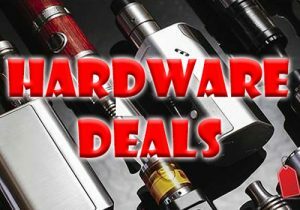 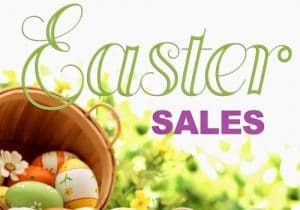 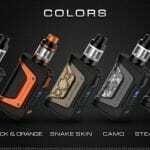 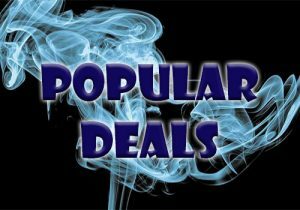 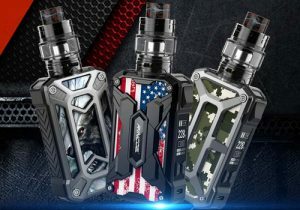 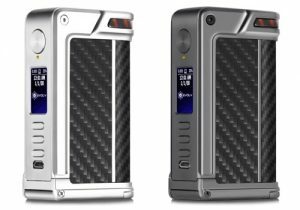 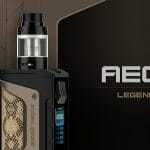 Here are cheap deals for the Geekvape Aegis Legend Mod or Kit. 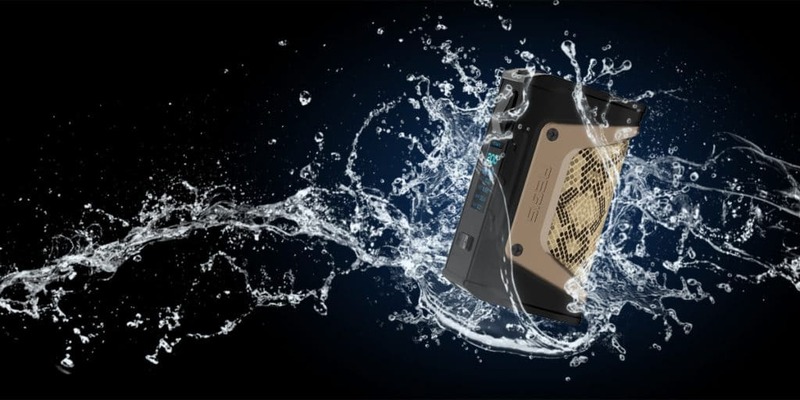 Waterproof/dust proof/shockproof, a full color display and an improved 200 watts of power! 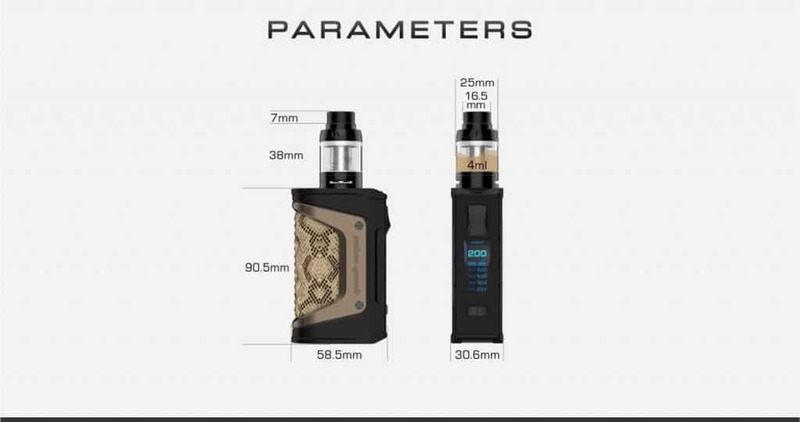 Also, check out the Christmas/National Flag version of the kit. 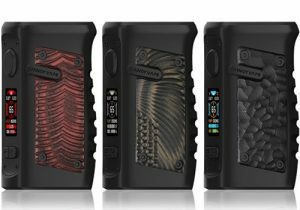 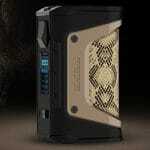 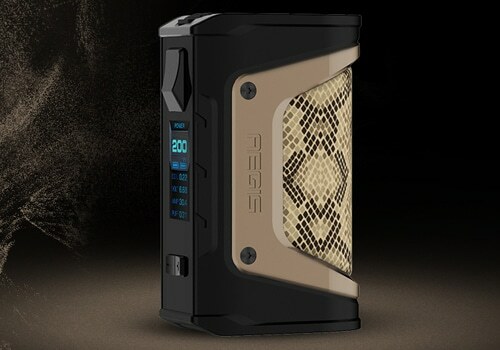 The shock resistant, dust proof & waterproof Aegis Mod has been updated! 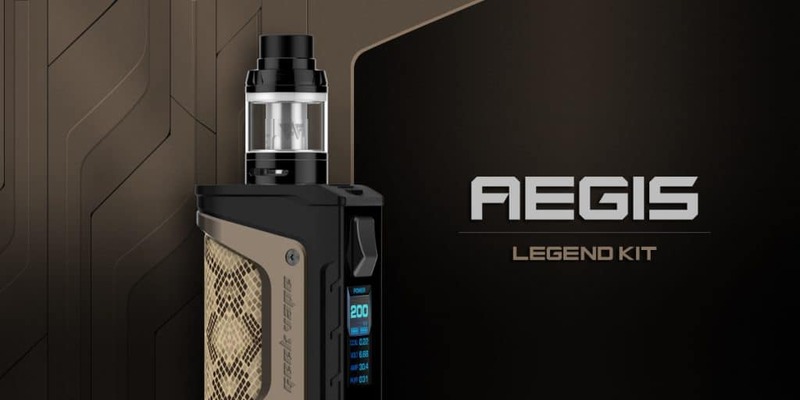 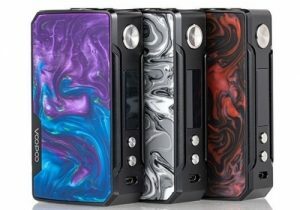 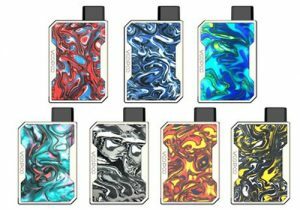 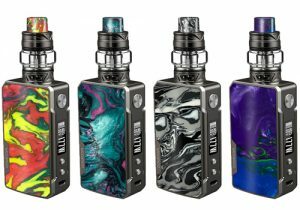 The Geekvape Aegis Legend features increased maximum power to 200 watts, a full color display, new finishes and combines six different materials to achieve extreme longevity and durability. 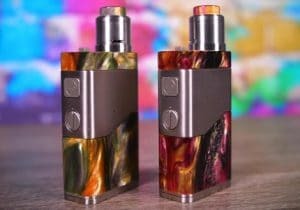 Design-wise, this mod looks very similar to its predecessor. 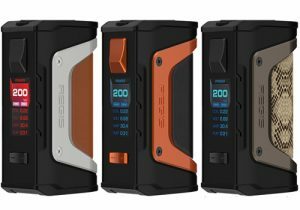 The updated Aegis Legend measures 90.5 x 58.5 x 30.6mm and is available in silver, black/orange, stealth black, camo and snake skin. 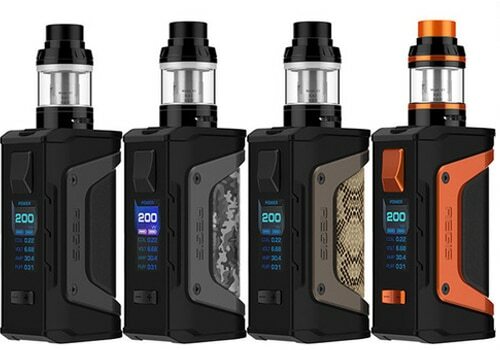 What sets the Aegis Legend apart from the crowd is the fact that it is extremely durable thanks to six different construction materials. 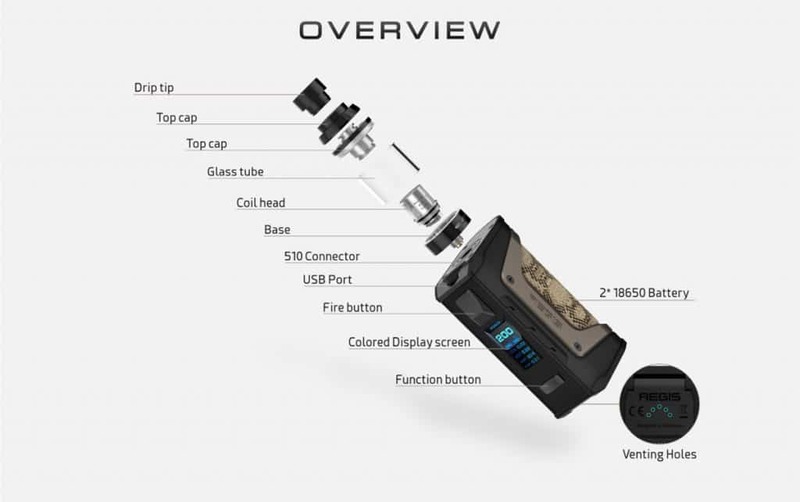 At the top, you will find a stainless steel 510 connector, the fire button is made from durable zinc alloy, the accent lines on the side from die-casting aluminum, the bottom battery panel from 40hrc carbon steel, the chassis utilizes LSR silicone and the grips are constructed with leather. 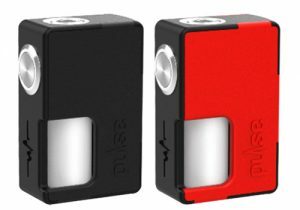 As a result, this mod is IP67 waterproof, so you may immerse it in 1 meter water for up to 30 minutes without any damage. 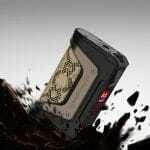 And, it is also shock resistant so you won’t break it if dropped. 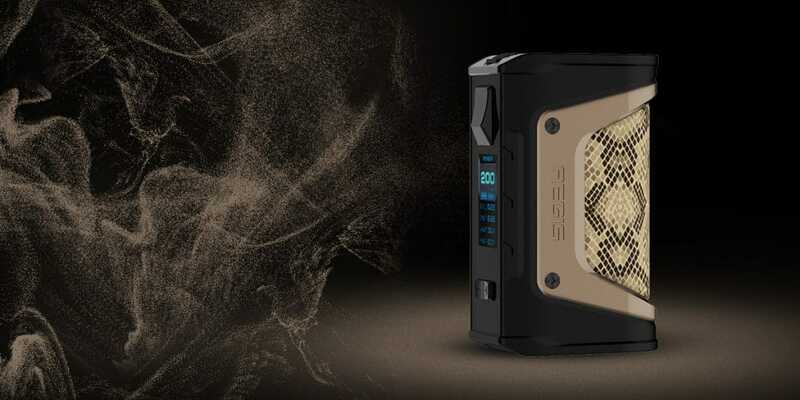 Lastly, the Geekvape Aegis Legend Box Mod is dust proof (IP67) to withstand dirty environments and also easily cleaned. 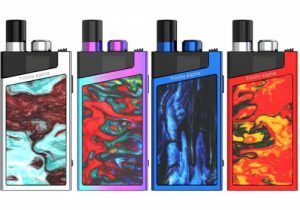 Another update on this mod is its display screen, which is now full color and can be set to different colors, although it is unknown exactly how many. 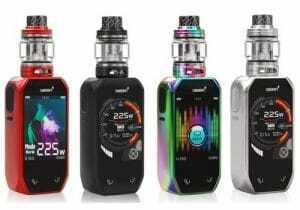 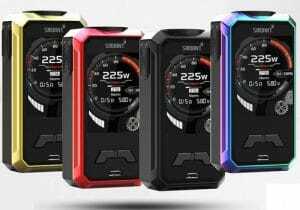 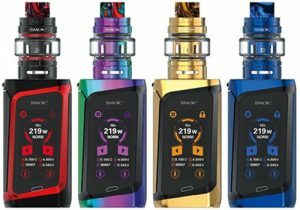 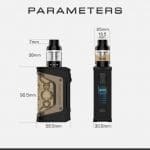 Vape data on the screen’s menu is vertically oriented and includes current mode, current power, two battery bars, coil resistance, current voltage, current amperage and a puff counter. 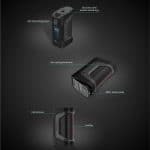 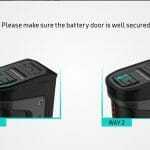 Powered by dual 18650 batteries, the cells can be accessed via a sliding bottom battery panel. 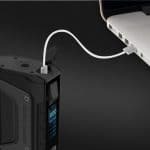 A micro USB port allows for charging of the cells utilizing a fast current to complete the process very quickly. 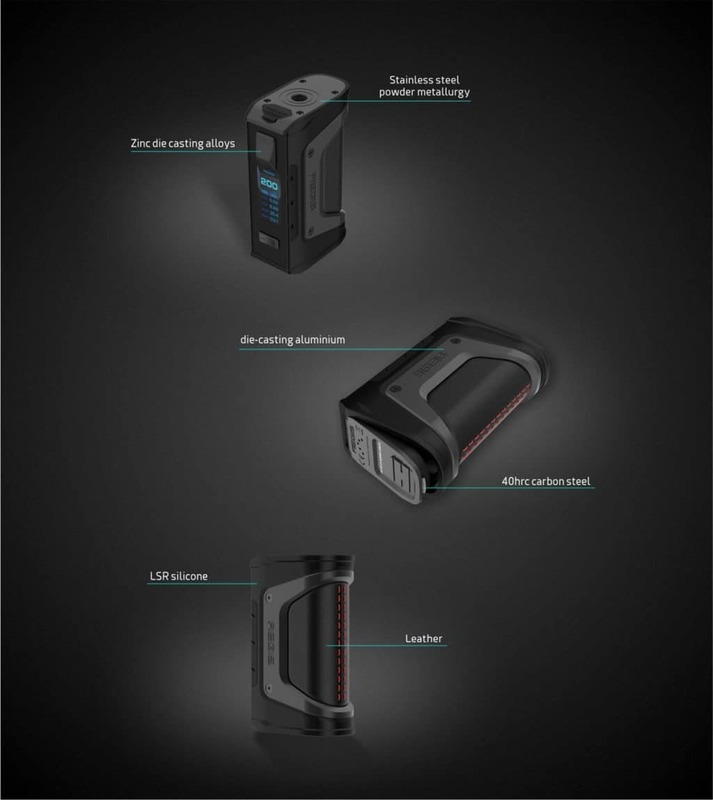 The USB port also allows for future firmware upgrades. 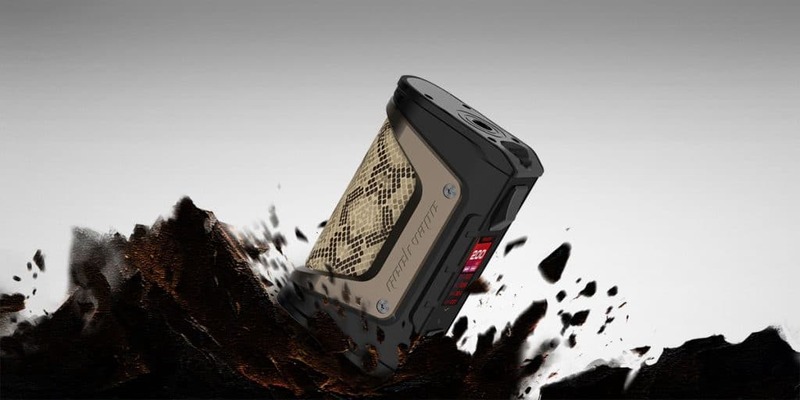 Performance-wise, this mod is built with the latest AS chipset making it stable, fast and powerful with up to 200 watts of maximum output. 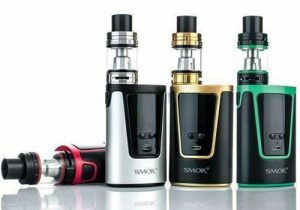 Operating modes include variable power mode, variable power curve mode (ramp vaping), temperature control mode, TCR mode and bypass mode. 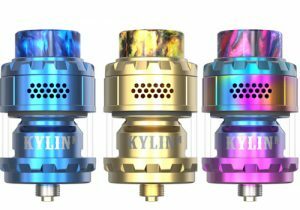 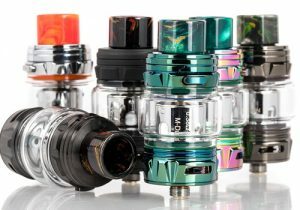 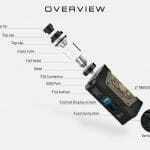 From this we can glean that the mod will be compatible with most atomizers, builds and tanks in the marketplace, as long as they have a resistance of 0.05ohm or higher. 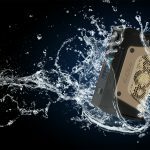 Temperature control tops out at 600 degrees Fahrenheit or 315 degrees Celsius.